No public appeal during services! Grateful for the open arms and acceptance of my family at the Chabad Wiregrass and that of Rabbi Mendy and his family! In honor of our wonder mother Betty and all she does for our family . And also to Rabbi Mendy and Chani, who help us learn more and more every day how to become the best Jews we can be. Dedicated to honour the United States of America and Israel and their continued success and leadership. Dedicated to the Rabbi and Rebbetzin who gave this community a home, and the Rebbe of Blessed Memory who inspired the outreach. 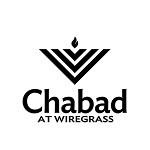 To all the wonderful people who work so hard to make Chabad at WireGrass such a special place.